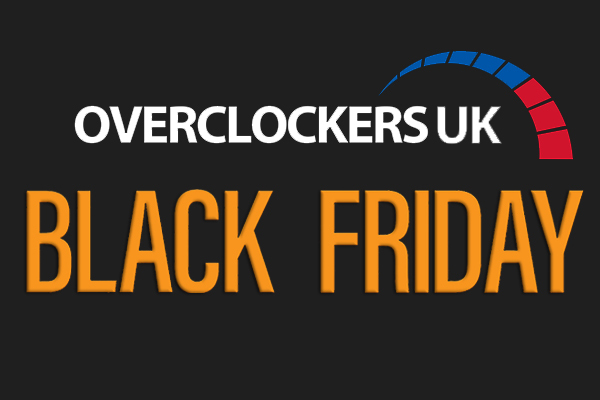 Overclockers UK kicked off its Black Friday sales with a bang this week in the run up to the 24th November, cutting the prices off of hardware and peripherals across the board. 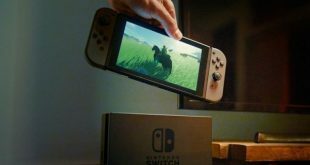 Of course, many of these deals are subject to availability as stock is sure to fly off the shelves, so best grabbing what you want sooner rather than later. We have already seen three waves of sales already, some deals have come and gone, so here’s a list of the best stuff you can grab today. If you are in need of more speedy storage, then there are a bunch of SSDs currently on offer. You can pick up the Samsung 250GB 850 EVO for £79.99, the 500GB 850 EVO for £139.99 or the 1TB 850 EVO for £278.99. Alternatively, the Samsung 960 EVO 250GB M.2 drive is also on sale for £109.99, offering greatly improved speeds of 3200MB/s read and 1500MB/s write. The 960 EVO 500GB M.2 version is also on sale for £209.99. If you are in need of mass storage, then there are plenty of hard drive deals to be had today. For starters, the Seagate Ironwolf 3TB NAS drive is currently going for £89.99. The 6TB version is also on sale for £154.99. Alternatively, the Seagate Barracuda 3TB 7200RPM drive is going for £69.95. If external storage would better suit your needs, then the Western Digital 4TB My Cloud EX 2 is also on sale for £239.99. This is a network connected storage system, so you can set it up as a shared file hub for your household. Corsair’s Vengeance LPX 16GB 3000MHz DDR4 kit is on sale for £179.99. 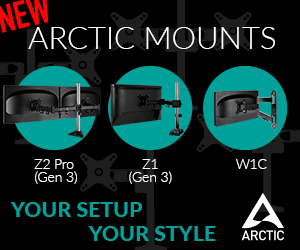 Alternatively, the Team Group Vulcan T-Force 16GB 3000MHz kit can be found for £149.99. AMD’s excellent Ryzen 7 1700 processor is 17 percent off today, going for £229.99. Meanwhile, the Ryzen 5 1600 is also on sale for £158.99. If you want a little more speed, the Ryzen 7 1700X can be had for £239.99, or you can get the Ryzen 7 1800X at 32 percent off, for £289.99. On the Intel side, you can find the Coffee Lake Core i5-8600K at 15 percent off, sitting at £269.99. In the GPU department, you can find the Zotac GTX 1060 Mini at 14 percent off, going for £218.99, or you can pick up the GTX 1070 AMP Edition for £389.99. There is an excellent range of be quiet! 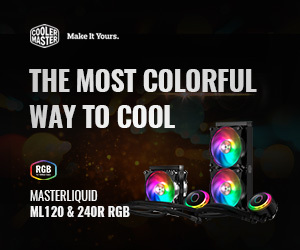 CPU liquid coolers also on sale today, starting with the 120mm Silent Loop at £79.99, the 240mm Silent Loop at £104.99 and the 280mm version at £109.99. The NZXT Kraken X62 280mm CPU cooler is also 20 percent off today, sitting at £119.99. Today OverclockersUK placed a heavy discount on the Corsair Obsidian 900D case. Currently, this massive super tower can be had for 20 percent off, bringing the price down to £304.99. If you are planning an insanely high-end build and need plenty of room for cooling, then this case would suit that. 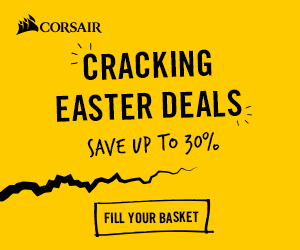 If you need something smaller from the Corsair range, then the Carbide Air 240 is currently 36 percent off, sitting at £59.99. The excellent Phanteks Evolv Mini-ITX case with Tempered Glass window is also on sale today for £59.99. If you are just after a regular-sized tower case, then the In-Win 805 Aluminum case is currently going for £109.99. Finally, the BitFenix Colossus M Mini ITX case is also on sale today with a massive 61 percent saving, bringing the price down to £24.95. There are plenty of power supplies on sale for Black Friday. The Seasonic Focus Plus 850W 80Plus Gold modular PSU is currently 20 percent off, going for £99.95. The be quiet! Power 10 800W PSU is also modular and 80Plus Gold rated, this one is currently 22 percent off, selling for £119.99. There are some great PC gaming peripherals on sale today. The SteelSeries Rival 700 mouse is 50 percent off, going for £44.99. Meanwhile, you can pick up the Corsair RGB headphone stand and Void Pro headset bundle for £99.98. Finally, the excellent Corsair K65 RGB mechanical keyboard is also 32 percent off, selling for £94.99. If you are in need of a new chair to enjoy all of your gaming on, then today (23rd of November), Overclockers UK is running a special deal on the noble EPIC series black/red chair. If you pick up this chair today, you’ll get free mainland UK delivery on your entire shopping basket. OCUK will also throw in one of its own XL mugs and a 3XL premium Elite Gaming Surface, which will turn your entire desk into one large mouse mat. All you need to do is add the chair to your basket to unlock the deal. If you are looking to make the jump into VR, then both the Oculus Rift and HTC VIVE are on sale today. You can grab the Oculus Rift and Touch bundle at its lowest price ever- £349. Meanwhile, the HTC VIVE is still £599, but if you buy it today, you will get a free deluxe audio strap, as well as a copy of Fallout 4 VR and DOOM VFR. 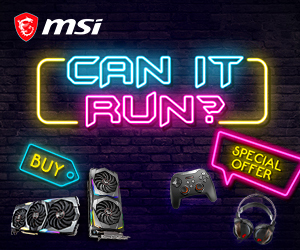 There are plenty more deals to be found on CPUs, GPUs, motherboards, peripherals, monitors, etc on the OverclockersUK Black Friday page, which you can find, HERE. KitGuru Says: There are lots of excellent tech deals going around this week, so be sure to shop around. Is there anything you are planning on picking up this week?